What creature subtype does Ensoul Artifact give? 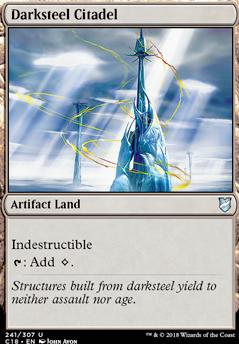 Can an indestructible creature die from a combination of damage and toughness decreasing enchantments? darksteel citadel is impossible to remove? Hey, saw your forum topic asking for help. Chandra585 gave you good advice. The artifact lands untap by Unwinding Clock. Fair is a great land for artifact strategies. Basalt Monolith : good with Unwinding Clock. 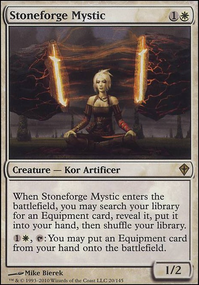 Shimmer Myr : flash in artifacts, good with mana rocks and Unwinding Clock. Treasure Mage : tutor for Memnarch or another high CMC artifact. 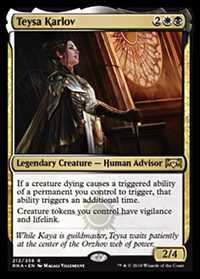 Thada Adel, Acquisitor : she fits with the theme of stealing your opponents cards and the artifact theme. You could cut for example Keiga, the Tide Star and Yosei, the Morning Star because I don't think they fit the theme of the deck. 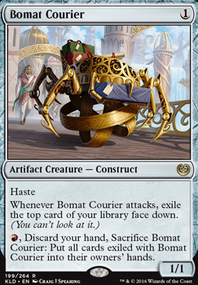 I don't think Cackling Counterpart should be in the deck. High Tide I feel like this is shouldn't be here. Lightning Greaves is a must-have. 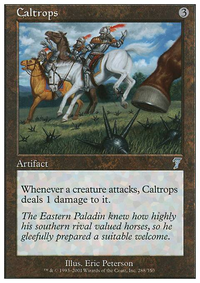 You are missing Expropriate I know you are going budget, but still is a great card. Hi! I know the math is possible, its just im godawful at it myself. And finally 1x Mountain And 4x Plains As basics. Can any math wiz do the odds on my average % chanfe on getting 2 white mana on turn 2 or more importantly turn 3? I need WW. Also what if i go down in plains? How much worse does it get. If you end up going the Armageddon route - may I suggest Darksteel Citadel and Cascading Cataracts ? 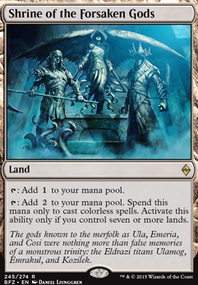 My preferred targets for the Boom are to hit my own Darksteel Citadel which turns Boom into a two mana kill a land or Gods' Eye, Gate to the Reikai for the 1/1 spirit. I actually really like having the Ghost Quarter you suggested in here thought as I can target Darksteel Citadel to create mountains as a second use for it and recycle it with Crucible of Worlds . 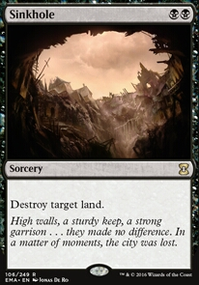 I have gotten a little use out of it primarily to destroy lands during my opponents turns as well. I took the Inferno Titan back out as I felt every time I drew them I was feeling disappointed and I did some test plays just by myself with them in and they were an okay win-con but didn't quite have synergy with the deck. Thanks for commenting and helping improve the deck!